It’s back-to-school shopping time, and that makes me think of one thing: Lisa Frank folders. Oh, and pencils. And erasers. And notebooks. Don’t forget binders, pens, stickers, T-shirts, magnets to hang pictures of your besties inside your locker (and a neon-pink, heart-shaped frame designated for that one special person…). Lisa Frank and her rainbows and unicorns made a solid mark on my childhood, as well as those of most of my classmates. She continues to do the same for many of us as adults — and for the next generation. Want to Work for Lisa Frank? Soooo… what if I said you could be the next artist behind those magical, memorable designs? If you’ve ever dreamed of living inside a neon-colored rainbow world filled with kittens, teddy bears and unicorns, this could be your chance. To apply: Create an account, and fill out your application online here. 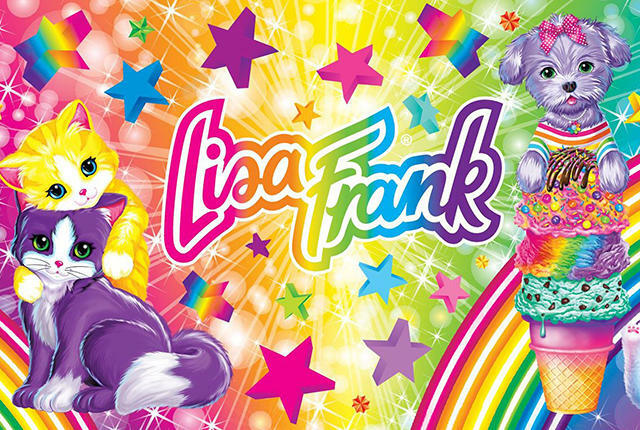 Your Turn: Were you a Lisa Frank fan as a kid?